Berlin (AFP) - Germany put on a show of unity with the United States Tuesday in talks on importing natural gas, as Berlin battles accusations an under-construction pipeline deepens European energy dependence on Russia. Economy Minister Peter Altmaier pointed to increased need for imported energy, as European gas fields run dry and governments plan their exits from nuclear and coal power. "The US is in a position to satisfy a significant proportion of this need" with liquid natural gas (LNG) shipments, he told reporters at a joint press conference with American deputy energy secretary Dan Brouillette. Several private consortiums are keen to build terminals on Germany's northern coast to pump LNG from ships into the gas network, Altmaier said, suggesting construction could begin "on a short medium-term timescale". However, with private firms in the driving seat of the projects, prices must be "competitive" with existing gas suppliers, he added. Government subsidies could smooth the way for the new infrastructure, although the minister would not be drawn on how much cash Berlin could inject into the projects. 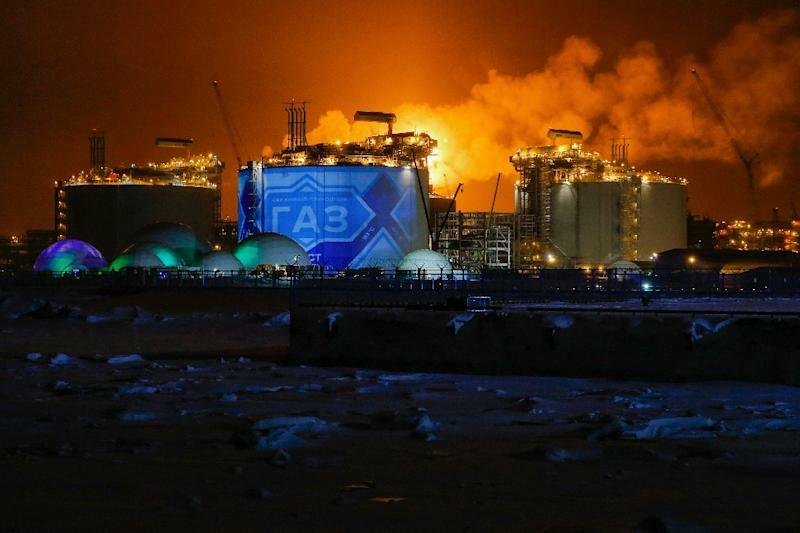 LNG as a potential alternative to Russian gas became a hot topic as construction on the Nord Stream 2 pipeline got under way last year. The scheme will double the capacity of an existing link between Russia and Germany, and combined with the planned Turkstream connection could remove the need to pump gas to Europe via Ukraine. Kiev fears eliminating its role as a transit country will expose it to further aggression from Moscow, after Russia annexed the Crimean peninsula in 2014 and backed separatist rebels in Ukraine's east. Meanwhile eastern EU member states including Poland and the Baltic nations, backed by the US, have complained the pipeline also undermines their security. Germany had helped organise talks between Russia, Ukraine and the EU on gas transit, Altmaier said, with "a good chance of concrete results in the course of this year". "We believe that we in Europe can handle and decide on this question very well ourselves," he added, pointing to a vote last week in favour of a compromise on oversight of the pipeline. France had at first said it would vote for common supervision -- potentially allowing opposing member states to strew obstacles in the pipeline's path. But Paris agreed at the last minute to leave the responsibility with Berlin, defying intense last-minute lobbying from the US. "90 percent" of member states had backed the compromise, Altmaier said, calling it "an important moment for calming the debate". Washington was "encouraged" by the Brussels vote Friday, deputy energy secretary Brouillette said, although "we will be watching very closely to see the implementation." "Our concerns with Russia particularly with regard to Ukraine remain," he added, declining to answer questions about whether Washington could sanction firms linked to the pipeline. The Kremlin capitalised on Friday's failure of American pressure, as spokesman Dmitry Peskov accused Washington of "underhanded competition" by trying to encourage Europeans "to buy more expensive American gas". Both Altmaier and Brouillette looked to dispel suggestions the LNG import terminals were a costly political sop to Washington by Germany and the EU. "As we need more gas, the fundamental need to protect ourselves from vulnerabilities will increase, that's why we're going to diversify" supply, Altmaier said, pointing to other possible LNG sources in Egypt, Israel or Qatar. "We're working very hard to make US LNG more competitive," Brouillette added, arguing that as more export terminals are built in America, prices will come down as competition grows. "You will see the price of US LNG drop fairly dramatically" over the coming decade, he predicted.